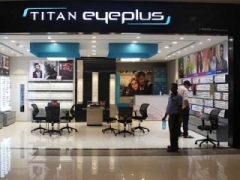 Titan Eyeplus, one of India's largest optical retail chains, has opened three new stores in Coimbatore, Tamil Nadu, taking the total count to seven. With this expansion, the brand will be offering an enhanced shopping experience to its customers. Apart from the state-of-the-art service, each store provides a huge range of lenses and frames starting at Rs 395 and Rs 495, respectively. Ronnie Talati, CEO (Eyewear Division), Titan Eyeplus, said, "The launch of these three new stores in Coimbatore besides the re-launch of another store in the city will help Titan Eyeplus expand its retail network and reach and offer a wide range of its frames and lenses for its customers." "The expansion of Titan Eyeplus stores would also ensure that the customers get an enriching retail experience as it offers them 20-step-free zero-error eye test conducted by certified optometrists, along with a range of products which are in sync with the latest fashion trends," Talati added.